When Captain America throws his mighty shield! All those who oppose his will will surely yield! That's the words to the old Captain America cartoon theme tune which basically says all must yield to the will of this super soldier or die (kinda). It sounds a bit harsh but yield rhymes with shield so all's good. 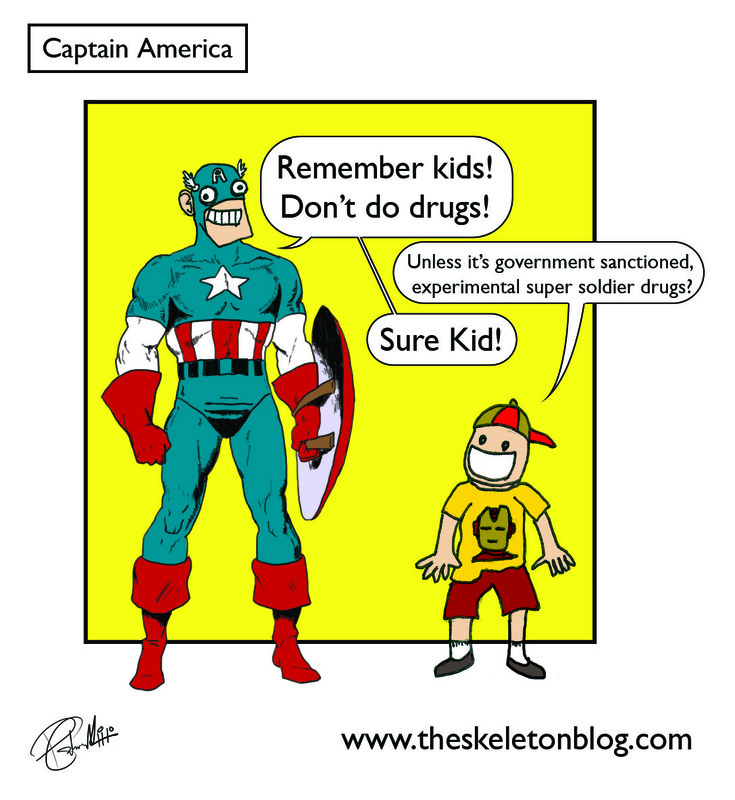 I always found it weird that Captain america is a drugged up super soldier, it wasn't an accident, he was pumped up with the comics version of super steroids.... it reads more like a super villain origin than a hero. 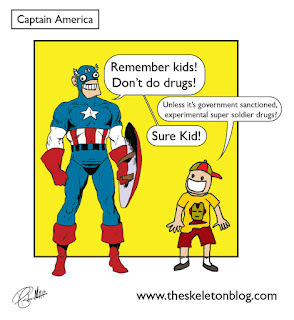 So the only way to grow up big and tough like Hulk Hogan and Captain America is to eat your vitamins and take yer steroids kids!